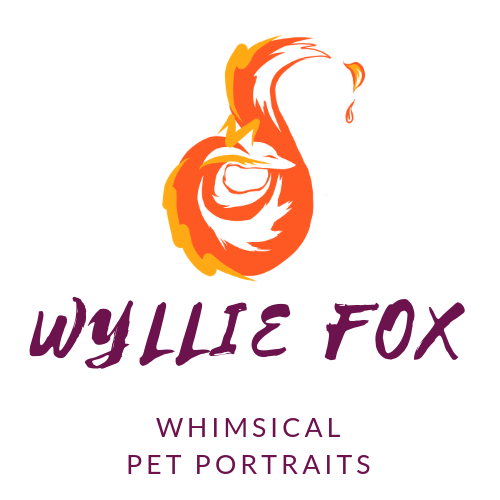 The Wyllie Fox paints pet portraits, landscapes, portraits and sketches from the curious life around her. She also occasionally ventures out of her den to offer painting and drawing tuition. 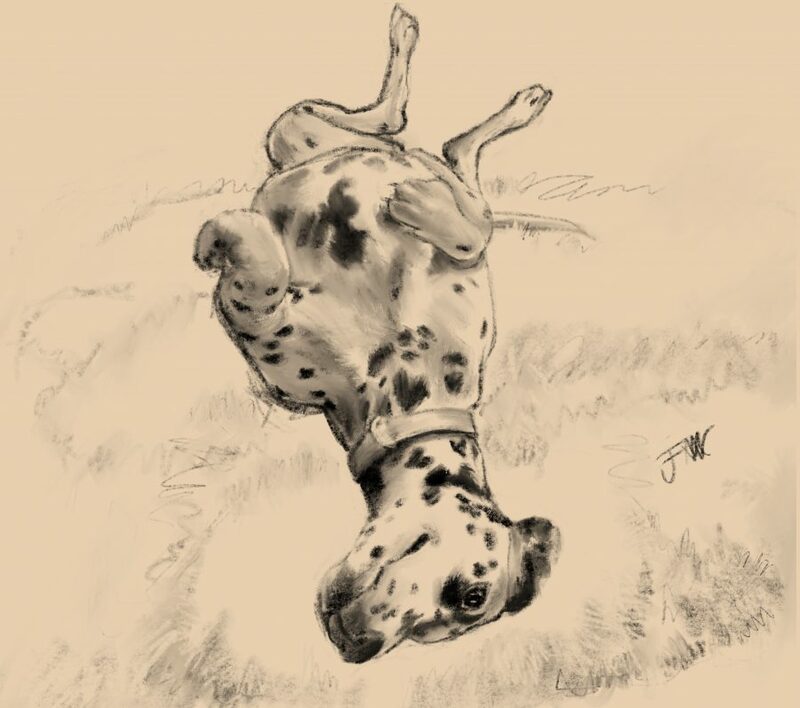 She usually paints in oil, but sometimes in acrylics and watercolours and often with an IPad and Pencil. Francesca Wyllie Fox has also be known to give talks on her artworks. 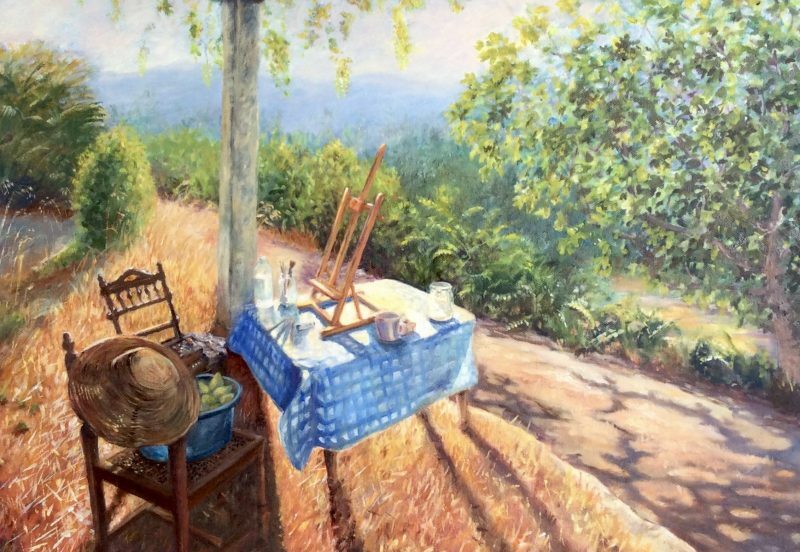 With over 30 years experience at creating art, she knows a thing or two and is always keen to pass on a few tip. So, why don’t you entice her out of her den by dropping her a line or by calling her on her telling bone. She is always happy to help you with your enquiries or to answer any questions. 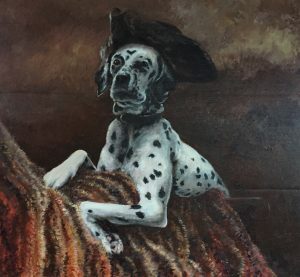 Why not commission a unique pet portrait or Explore the gallery shop, where you can discover original paintings and limited edition prints for sale. 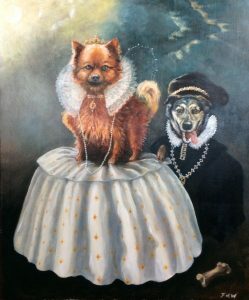 An original Dog portrait of a Pomeranian and Heinz 57, Buffy and Liquorice.Based on historical portraits of Queen Elizabeth the 1st and her alleged boyfriend Robert Dudley. 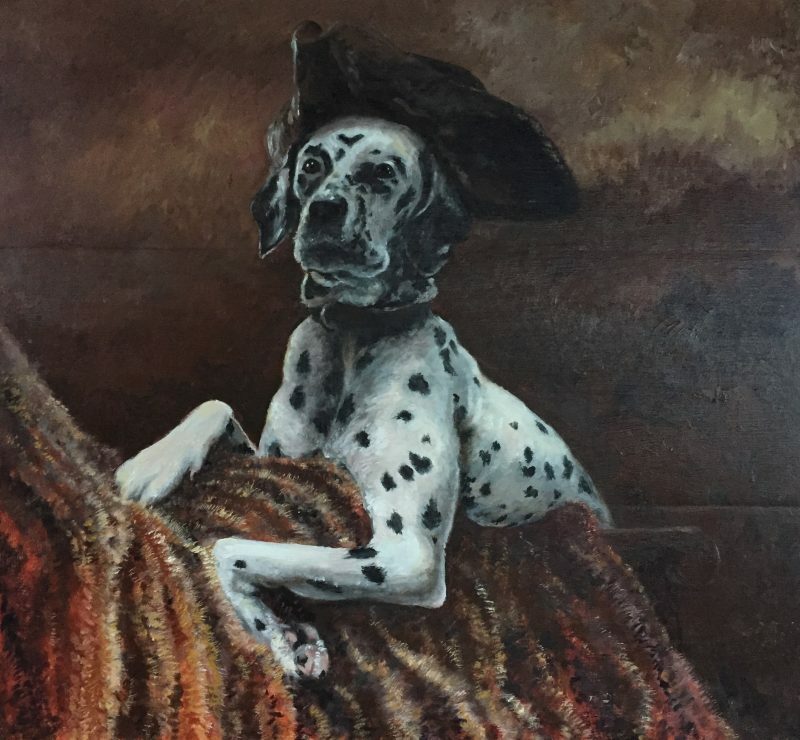 This large oil painting is painted on wooden panels and would suit a gold ornate frame. Will be by signed for courier and for mainland UK only. For other locations - please use the contact page to discuss this before ordering. You’ve managed to capture the depth in her beautiful eyes. This is absolutely amazing. I just showed my little boy and he knew exactly who it was. Buffy was his best friend. 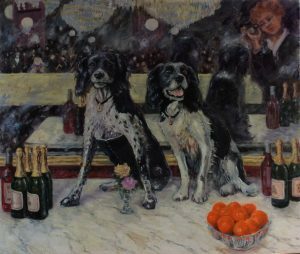 Francesca Wyllie has coached me in drawing and water colours every week on a one-to-one basis for over two years. She is an outstanding teacher who explains and demonstrates techniques very clearly and she has encouraged and motivated me to produce results beyond my expectations. I would strongly recommend her to anyone looking for tuition in the visual arts. Fabulous painting. Lottie is just perfect you have caught her naughtiness so well. 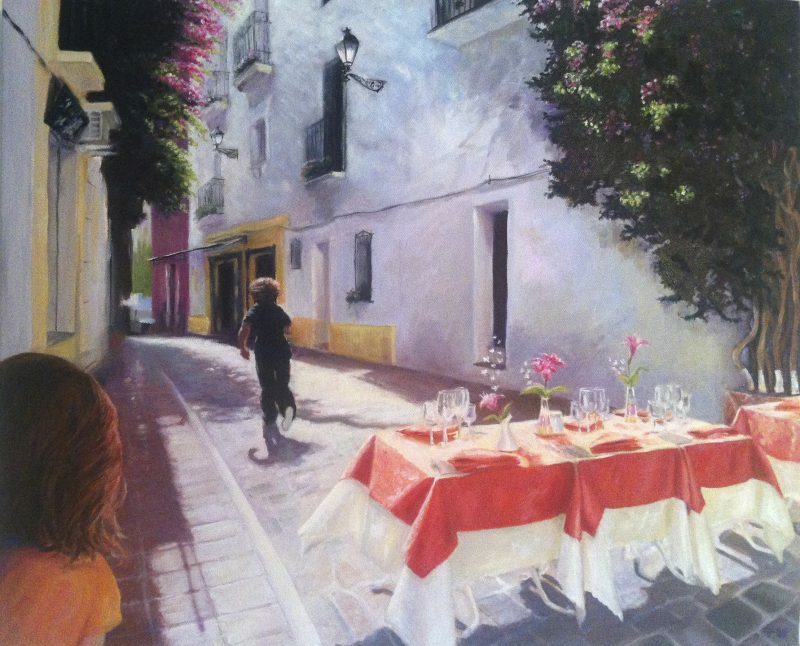 Commissions and Artworks delivered Nationally and Internationally. All rights reserved - no images can be copied or reproduced in any way. 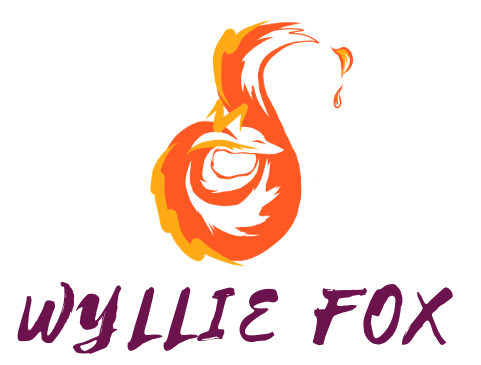 Copyright Wyllie Fox Art © All Rights Reserved.